We are here dealing with a man who led a life of amazing accomplishments, which started early. Not sure of his childhood, but he had quite an education. He went to West Point and graduated in 1871. In 1875, Schwatka received two degrees, while presumably carrying out his duties as an army officer, at the same time: law and medicine. After which, Schwatka was sent west, where, in the Dakota Territory, the army was chasing down the remaining Sioux who gave so much trouble for Custer in Montana earlier that year. "[The group set out] with three sledges drawn by over forty dogs, relatively few provisions, but a large quantity of arms and ammunition. 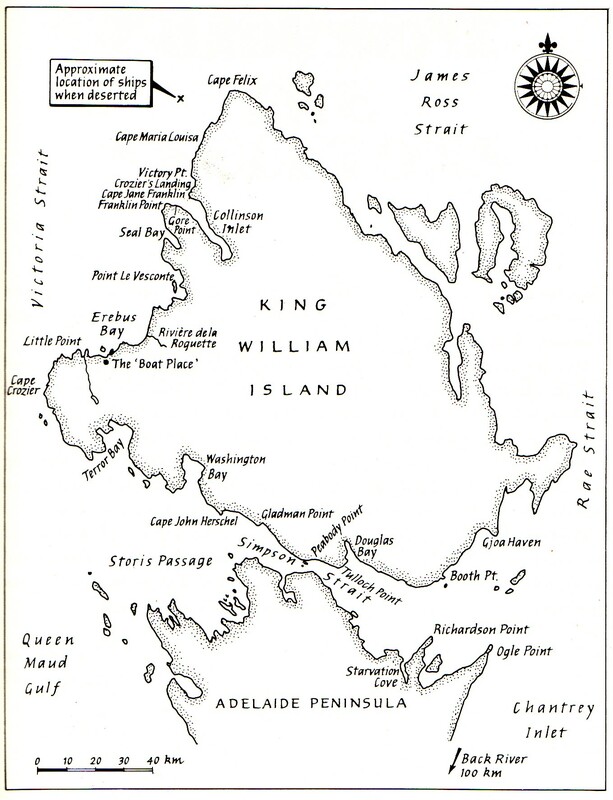 They interviewed Inuit, visited known or likely sites of Franklin Expedition remains, and found a skeleton of one of the lost Franklin crewmen. 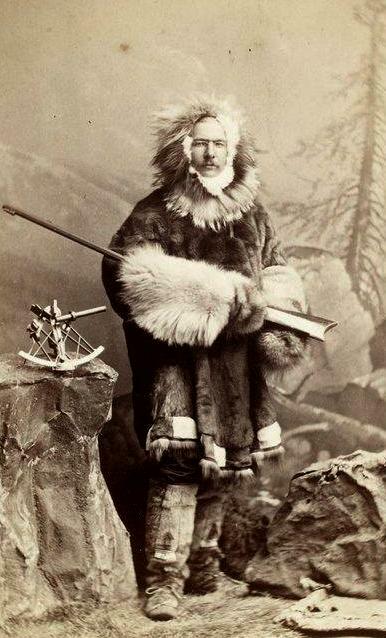 Though the expedition failed to find the hoped-for papers, in a speech at a dinner given in Schwatka's honor by the American Geographical Society in 1880, he noted that his expedition had made the longest sledge journey ever made both in regard to time and distance of eleven months and four days and 2,709 miles (4,360 km) and that it was the first Arctic expedition on which the whites relied entirely on the same diet as the Inuit." Though it has little bearing on our main work, Schwatka carried out further explorations in 1876. Alaska having been bought from Russia in 1867, the United States wanted to know more about its recently acquired territory. So, Schwatka was sent in 1883 to explore the Yukon River valley. Schwatka and his party, after going over the Chilkoot Pass from the Pacific, went down the Yukon River to its mouth in the Bering Sea, travelling 1,300 miles. 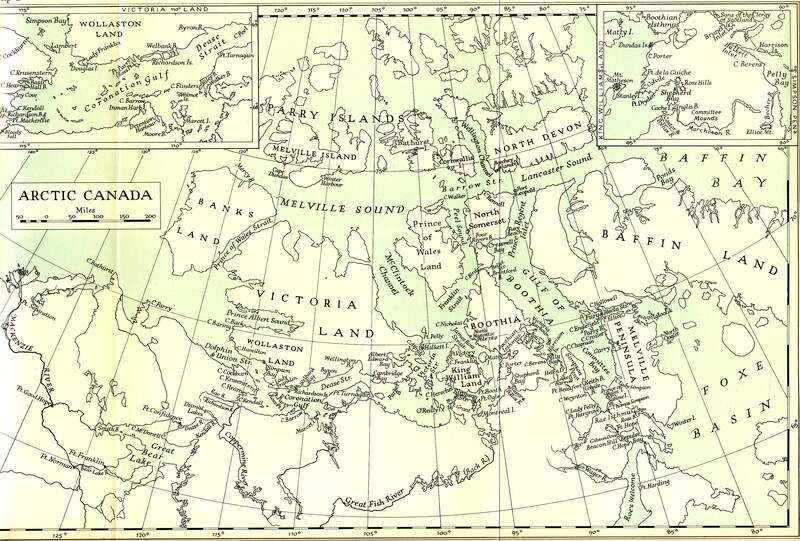 Schwatka's expedition alarmed the Canadian government to such an extent that it sent out an expedition of its own (under George Mercer Dawson). 1 McClintock, The Voyage of the 'Fox' ..., p. 58. 2 McGoogan, Fatal Passage: The Story of John Rae ... , p. 252. 3 http://www.biographi.ca/en/bio/schwatka_frederick_12E.html Laudanum: "Alcoholic tincture of opium." Analgesic: "A medicine that removes pain.